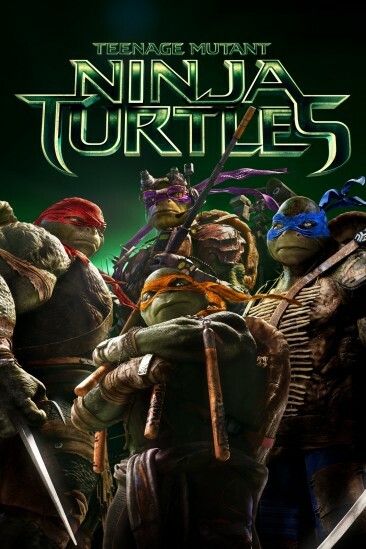 Teenage Mutant Ninja Turtles is definitely not "turtle-y" awesome. Whilst not directed by Michael Bay, his hand in the production team is clearly noticeable right from the first diagonal shot plagued with lens flares and...oh, would you look at that! Explosions! Now, I'm not the biggest fan of the source material, so was hoping for fresh adaptation with some genuine wit and memorability. Alas, it's just another loud disposable blockbuster that is infected with poor editing and minimal characterisation. New York is under threat by a clan that will soon destroy the city and its inhabitants. But four mutant turtles team up with a news reporter to stop the antagonising Shredder. Michelangelo, bam! Raphael, woosh! Donatello, kapow! And Leonardo, DiCaprio! Four hideously designed "ninja mutant turtle teenagers" that surprisingly have minimal character development and come across as annoying irritants (even more so than Megan Fox!). Speaking of, it's another case of good looks overwhelming acting ability because April O'Neil was absolutely useless at her job, constantly screamed at everything and was more of a lead character in comparison to the eponymous turtles. Splinter shows up for a wonderful ten minute scene of exposition, and then bites the dust whilst generating no emotional investment. Villain also makes the classic move of unveiling his plans to the heroes so that they can stop him. Eyes certainly rolled at that point. Some of the action scenes, such as the downhill mountain chase, were well edited and exciting. However the close combat sequences in the sewers were murky, poorly edited and nearly impossible to watch. The dialogue tried too hard at being funny, and ultimately failed. Although some of the conversations between the turtles did feel natural and gave them a sense a unity and family. Oh, and Whoopi Goldberg has a few lines! Why? No idea. Look, it's not a terrible film, but it's obvious that the target demographic is for younger audiences (despite its certification). Obnoxiously loud with only one or two scenes of pure entertainment.